RFE/RL leadership, and the US Agency for Global Media which oversees it, have long neglected credible allegations of conflicts of interest surrounding Ozodi’s ties to businesses owned by the Rahmon family and its lack of editorial independence from the Tajik government. It has become clear that Ozodi is not fulfilling the mission of RFE/RL and is tainting the reputation of the United States with its pro-governmental coverage. When confronted by allegations of Ozodi’s bias and ties to the regime sent in private by 20 international experts on Tajikistan on 6 February this year, RFE/RL’s leadership promised investigations and an editorial review. But they have remained in denial of the depth and severity of the problem. Due to this reluctance to address concerns about mismanagement and conflicts of interest, we feel compelled to publicly call on the House Foreign Affairs Committee, US Agency for Global Media (USAGM), the Inspector General of the State Department - agencies which are responsible for overseeing taxpayer funding granted to RFE - to conduct an independent investigation of Ozodi. 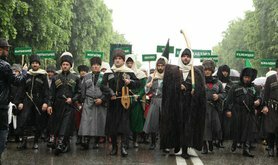 Tajikistan is among the world’s most authoritarian states. 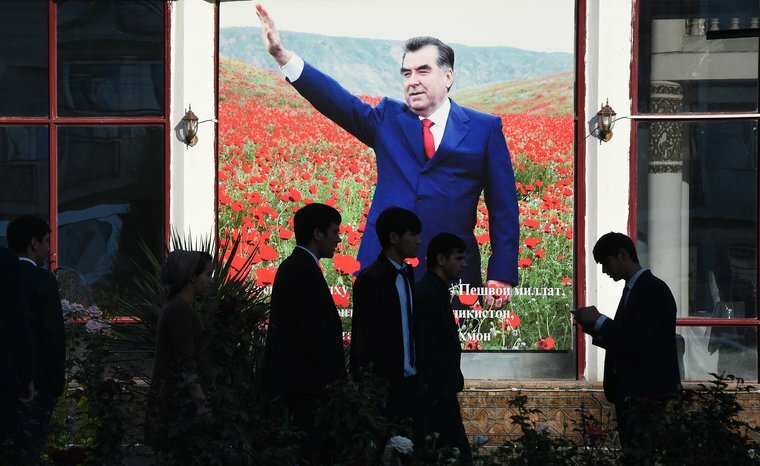 In recent years its citizens have experienced a steep decline in political and civic freedoms as the family of President Emomali Rahmon and their close allies have seized nearly all national levers of political and economic power, imprisoning, killing and exiling their rivals. For Tajiks at home and in the diaspora around the world, Ozodi’s grant funding from USAGM has allowed it to survive as the last remaining major non-commercial and independent media resource in their own language, and the only remaining one with guaranteed external funding. This should make it immune to pressure from the Rahmon family. As other independent news agencies have been closed down or coopted following government pressure in Tajikistan, Ozodi has the potential to be an invaluable resource for those trying to understand what is happening inside the country. But it is not currently fulfilling this role. Over the past several years, editors overseeing Ozodi have made repeated decisions to shape content and reporting in a way that becomes, at times, indistinguishable from press releases written by the Tajik state news agency - whose deliberate misinformation they exist to challenge and counter. Even more serious than what editors at Ozodi choose to report is what they order journalists to omit or ignore. For example, on at least five occasions Ozodi conspicuously failed to mention that members of the Rahmon family own Somon Air, which has been utilizing its links to the regime and its control of access to fuel to drive the state airline Tajik Air out of business. Broadly, Ozodi has frequently given government officials a free platform to make claims that counter available facts or lack any evidence under the additional cover of anonymity, making it almost impossible to evaluate the motives behind the claim. In 2018, Ozodi’s editors refused to give representatives of the Islamic Renaissance Party of Tajikistan (IRPT), the country’s largest opposition political party, an opportunity to deny spurious allegations made against them by the government. The authorities blamed them for the July 2018 Danghara attack in which four tourists were killed. 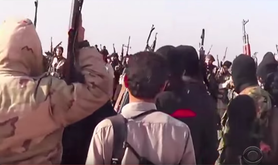 Instead, the service gave Tajik officials a free platform for making those accusations, despite the fact that the young men who conducted the attack had pledged allegiance to ISIS in a video released by the group shortly after the attack. Likewise, suspects who had linked IRPT to the attack had been visibly tortured. Numerous international researchers and human rights advocates have been approached by contacts in Tajikistan under political pressure from the government - who say they have granted interviews to RFE/RL which were never published. In a particularly egregious case, family members of Tajik human rights lawyer Buzurgmehr Yorov, who was arrested in 2015 for defending IRPT leaders in court, have publicly complained that material from an exclusive interview he gave shortly after his arrest was never aired by Ozodi. 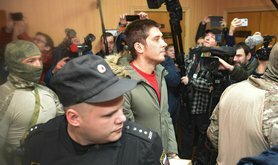 Instead, days later, Yorov’s family maintains, the video appeared in the hands of the police and featured in state-owned TV reporting intended to tarnish Yorov’s reputation and justify his prosecution - a prosecution that clearly violated international legal norms and generated protest from the US State Department and legal organizations around the world. According to sources known to some of the signatories, editors and a journalist at Ozodi have fabricated claims internally that Yorov retracted these allegations. They were then contradicted by Yorov’s attorney and family members who stand by their complaint to RFE/RL leadership and continue to wait for a response or explanation. Senior management at Ozodi has intimidated, threatened and fired journalists who have written critical stories, replacing them with less experienced individuals. At best, this is mismanagement, but at worst it is a systematic attempt to shape coverage in a way that pleases the Tajik authorities, turning Ozodi into a third-party validator that supports the government in the name of the United States. And this has been confirmed in a new investigation by Eurasianet this week. As such, under its current leadership and with these policies, RFE/RL’s Tajik Service now not only violates the first principle of “do no harm,” but does more harm than good. Without decisive changes of editorial leadership and policies, it is unclear why US taxpayers should continue to fund a media outlet that defies American and democratic values and helps an authoritarian regime justify repression of its domestic rivals.